The Basin Reserve where the current Test match between Sri Lanka and New Zealand is in progress remains a special place for Sri Lankans in many ways. Generally the Sri Lankans have done well at this picturesque venue. The Basin as they call it is literally one of Wellington’s busiest roundabouts. It is the two mountains – Mount Cook and Mount Victoria in the backdrop that add to the beauty of this ground in New Zealand’s north island. The first double hundred by a Sri Lankan overseas was scored at the Basin and the last double hundred by a Sri Lankan was also scored at the Basin. In fact after Kumar Sangakkara’s sensational effort in 2015, no Sri Lankan has scored a double hundred – home or away. Aravinda de Silva was the first Sri Lankan to score a double hundred overseas in 1991. Arjuna Ranatunga once told us that there won’t be another Aravinda for another 50 years. When we asked him why, he told us this story. 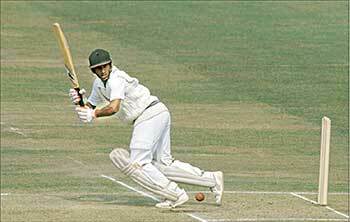 “I was batting with Aravinda at the Basin and was struggling to put bat to ball as there was quite a bit of seam movement. 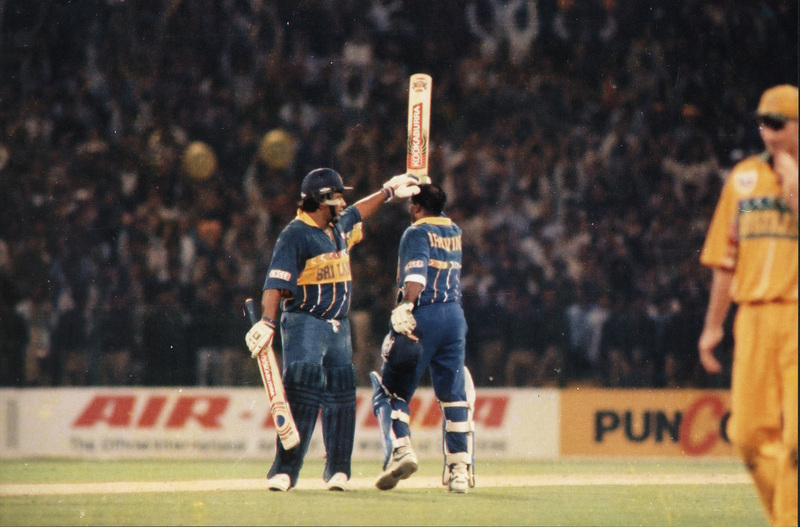 But Aravinda had no such issues and he was absolutely hitting everything from the middle of the bat. During the tea break, I took Aravinda’s bat and checked whether his was wider than that of mine. 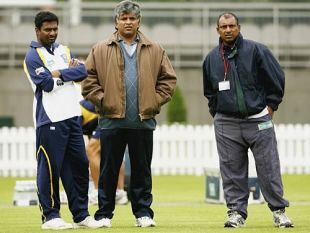 He was making it look so easy,” Ranatunga said. Read the rest of this entry ? The first two Sri Lankan cricketers to catch this observer’s eye were Roy Dias and Duleep Mendis. Dias, slim and elegant at the crease, played the game in beautifully straight lines and had a hand in important moments during Sri Lanka’s early days at the top table, most especially against Pakistan and India. Mendis was a bull of a fellow on first look but the most genial of cricketers, whose explosive strokeplay at Lord’s in 1984 won him many a heart. It was for the Indians, however, that he reserved his very best cricket, making hundreds in both innings of the 1982 Madras Test and then leading his country to a famous series win in 1985 with a match-saving hundred in the final Test at the Asgiriya Stadium in Kandy. It is close to impossible to describe how much this meant to his people. 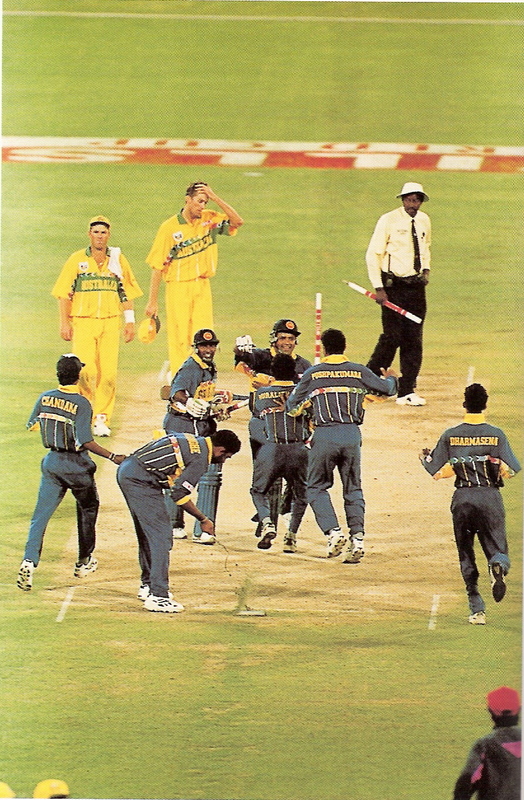 It was more than a victory for cricketers; it was a victory for character and for relevance – a precursor to the days when Arjuna Ranatunga would bow before no one in the pursuit of his country’s place in the world order. How dearly the national selectors would love to have a Cricinfo jury to help them pick the national teams, going by how straightforward the selection of Sri Lanka’s all-time XI turned out to be. The middle order of Kumar Sangakkara, Aravinda de Silva and Mahela Jayawardene, and champion spinner Muttiah Muralitharan, were all unanimous picks, with 10 votes apiece. Left-arm spinner Ajit de Silva and legspinner DS de Silva were tied for the spot of Muralitharan’s spin partner; but with Murali dominating from one end and Chaminda Vaas, whose nine votes justify his place as the spearhead of the bowling attack, from the other, you could assume the three other bowlers in the XI would have little to do. Read the rest of this entry ? Following the national cricket team’s disastrous showing in 2017 across all formats of the game, Sri Lanka Cricket has been under the pump for messing with the domestic cricket structure. SLC’s decision to increase the number of First Class teams from 14 to 24 had drawn much criticism forcing the Sports Ministry to intervene. It resulted in a high profile committee put in place to restructure domestic cricket and the committee has now forwarded its recommendations to the Ministry. 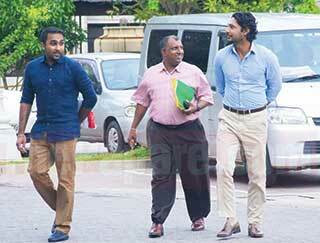 Former Test captains Aravinda de Silva, Mahela Jayawardene and Kumar Sangakkara were part of a high profile committee that was formed by the Sports Ministry to address the woes of domestic cricket. Cricket mentor Aravinda de Silva has said the Indian cricket team derives its strength from the Indian Premier League (IPL), the Hindustan Times reported today. “The IPL has helped them (Indian players) in playing against the best players in the world. They are able to bring in all the international players because of the monetary capability of the Indian cricket board. They all bring in the best knowledge into one country because all the best coaches are there in one competition. Read the rest of this entry ? As I was saying before; keeping my ear to the ground, I presume it is a part of my job. It gives you vibes without prejudice or even second thoughts; it just surfaces from the ground within – where it began. The other day I was chatting to my grocery man Seneviratne, an ardent cricket fan. You must see how his face lights up when Sri Lanka wins. It’s so pleasing to see a face so bright. The vibes that emanate from his even make our daily drudges look good. Yet, just before the second Test against the Indians, Seneviratne was down, way below his usual self. When I asked him why, he just mumbled “Oka Hariyanne nehe, Mama cricket balana eka athheriya. (Things will not come right for us, so I quit watching cricket)”. You are currently browsing the archives for the Aravinda de Silva category.